This isn't really any grand tutorial. In fact, it is probably the simplest tutorial I've ever written. Ready? Here we go. Step 1: Go find a set of measuring cups in your kitchen that has one of those obnoxious rings on it. Step 2: Take the ring off the measuring cups and put all of your hair elastics on it. Voila! 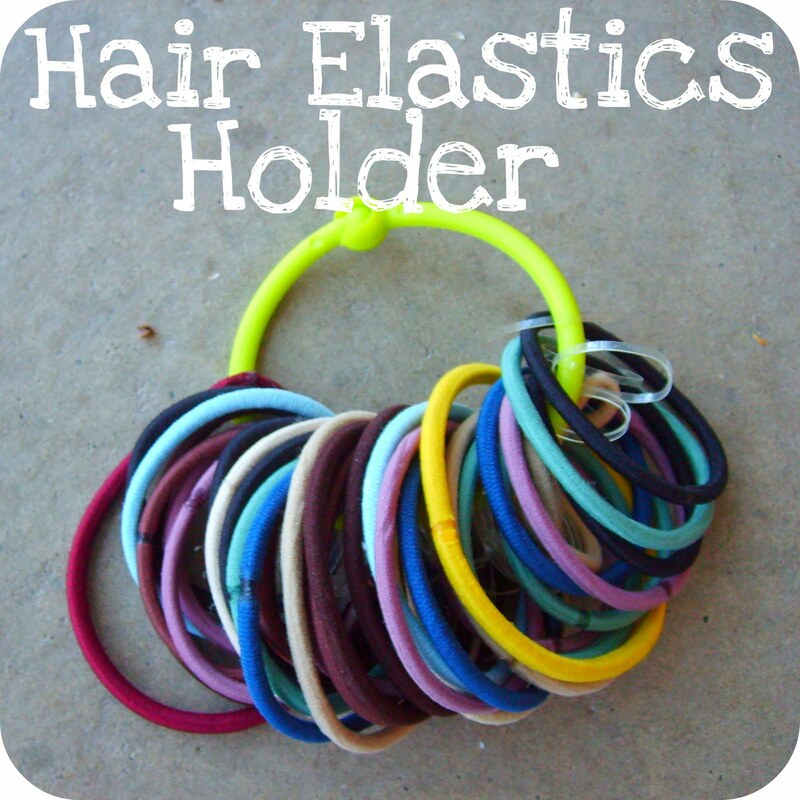 You now have a super handy place to keep all of your hair elastics. 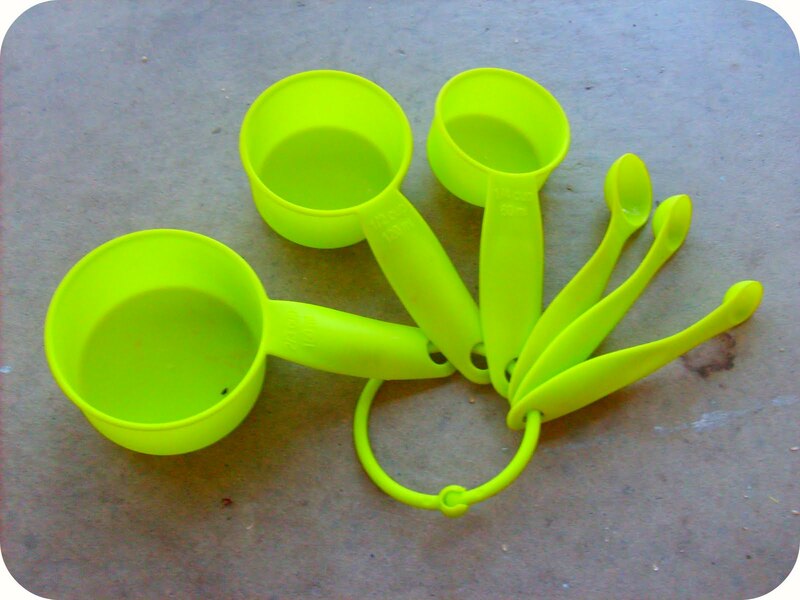 No more floating around drawers or having to be tied around your hairbrush. Ahh... now doesn't that feel good? On a fairly unrelated note (but also about organization), my lovely designer Nancy Jones has helped me clean things up a bit and all of the tabs in the lovely yellow bar up above are all a bit more helpful. And now there's even a tab for easy access to my shop! *Edited to add: I told you I'd let you know when I updated all the tutorial buttons in the "Tutorials" tab up in the yellow bar above. Well, I did it! You can now browse the newly updated and organized tutorials to little heart's content! Oh, and I also changed out a few of the "Favorite Tutorials" over in the right-hand side bar. Well, those are some of my favorite tutorials anyway. What are your favorites? 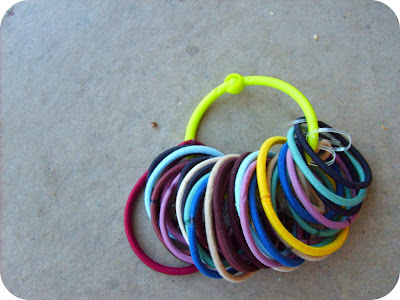 I have a ring that came attached to one of my baby's toys that I will be putting to use for this purpose! Brilliant. 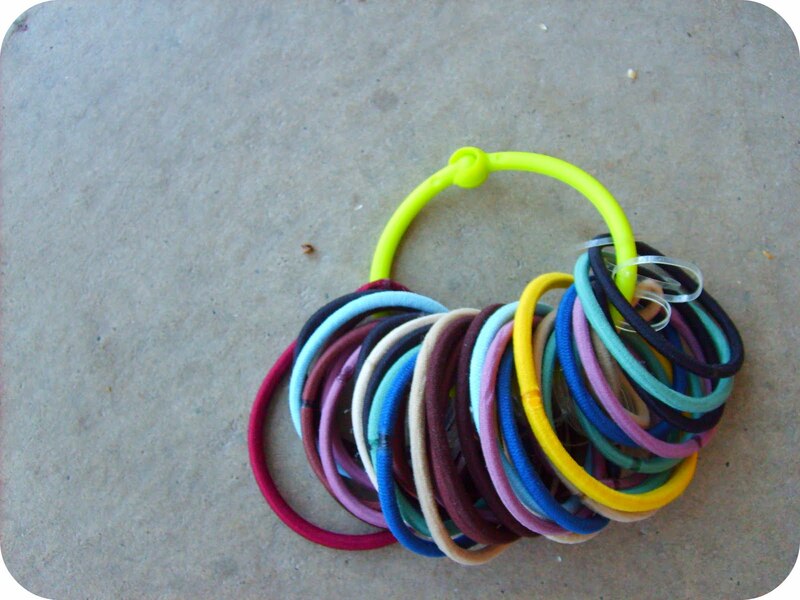 I'm tired of losing rubber bands. Off to do this right now.